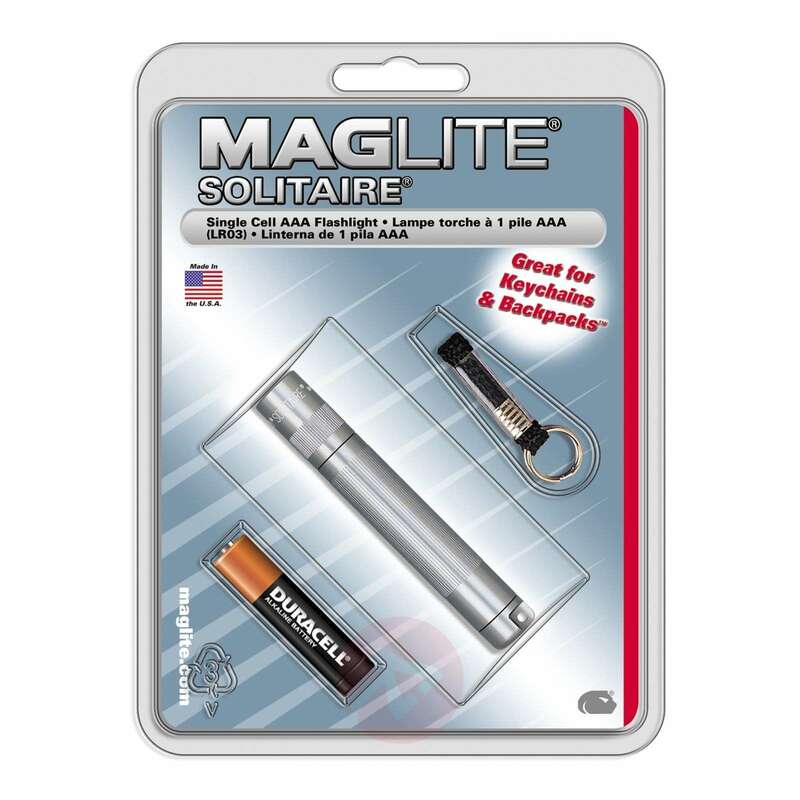 The Solitaire torch from Maglite has a handy design and is ultra-efficient in terms of lighting. It is perfect for carrying in your handbag or on your key ring. The computer-calculated reflectors combine with a powerful krypton bulb to guarantee a perfect beam that can be varied between flood and spotlighting. The high-quality aluminium body is very robust and spray-resistant. 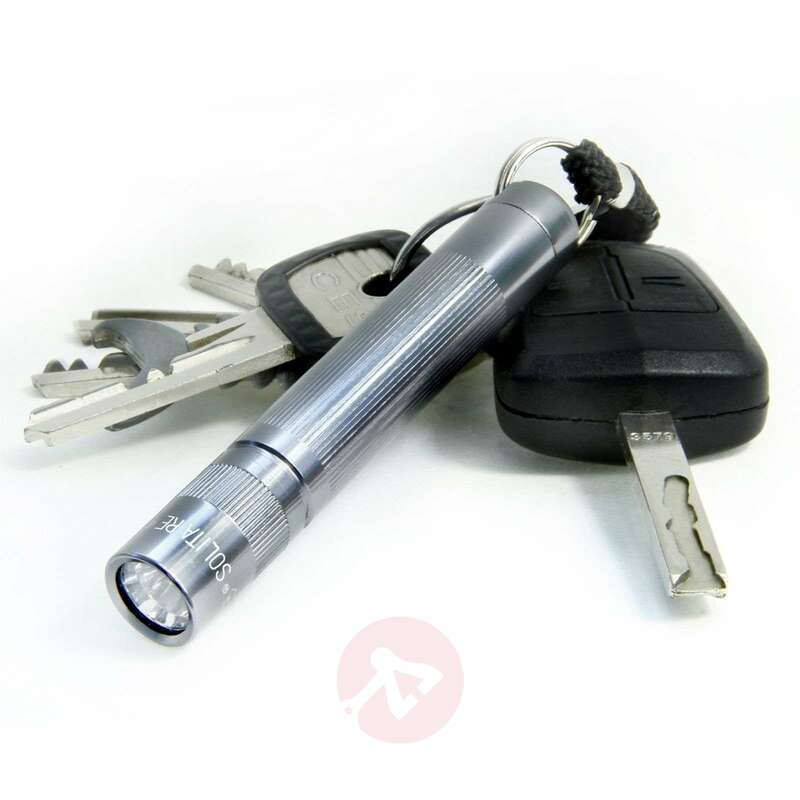 The battery (1 x AA) is included. The light range spans approx. 20 metres; the continuous light duration is approx. 3.75 hours. 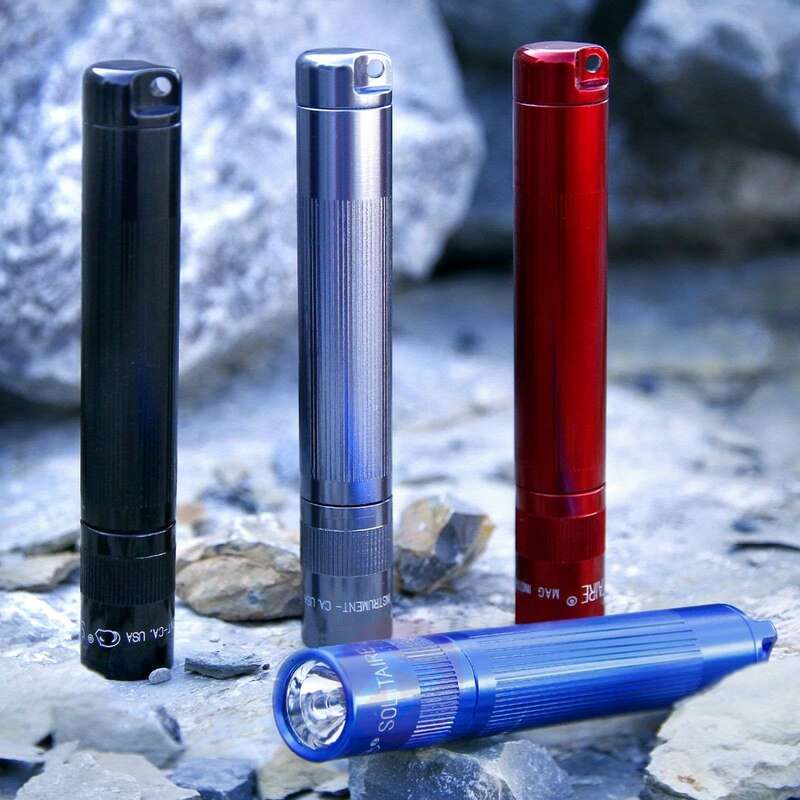 The torch has a weight of 24 grams including batteries. A spare bulb is integrated into the end cap.